Hardiman Scholarships will be available for new PhD students commencing in September, 2013. These scholarships are fully-funded for 4 years, with a stipend of €16,000 p.a. plus fees. Additional Cancer Care West Hardiman Scholarships will be available in cancer research with the generous support of Cancer Care West and Galway University Foundation. The scholarships will support translational and clinical research in the area of Cancer Biology, Therapeutics, and Psycho-oncology at NUI Galway and the associated University Hospital Galway (UHG). The primary strategic aim is to attract the best students to NUI Galway and to support their development as innovative individuals who will contribute globally to economic, cultural and social development. While a majority of postgraduate awards supported by the Hardiman Scholarships will be awarded to European Union (EU) citizens, or to those who are ordinarily resident within a member state of the EU, a proportion of awards will also be offered to exceptional candidates who are ordinarily resident in non- EU member states. Scholarships will be awarded only to those who will engage full-time in research during the period of the award in NUI Galway. Successful applicants will be expected to have a first or upper second class honours primary degree or equivalent. For students with undergraduate results expressed in GPA (“Grade Point Average”) or QCA form, in the Irish university system a first corresponds to a 3.6 or above and an upper second corresponds to a 3.2 or above (but less than a 3.6). The Hardiman Scholarship programme does not accept applications from persons currently registered as PhD candidates. provide the names of up to three proposed supervisor(s) and the names and contact details, including email address, for each of two referees in their application form. The closing date for submission of completed applications to hrscholar@nuigalway.ie is 17:00 (GMT), Monday, 17 December, 2012. Two references are required that indicate your academic suitability and potential to undertake postgraduate research. References will not be accepted from any proposed supervisors. It is the applicant’s responsibility to ensure that references are submitted by the deadline. References supplied by referees are supplied confidentially and are not made available to applicants at any stage during or after the competition. In section 6 of the application form, you must provide a personal statement on your interest and commitment to research and the reasons why you have selected your potential supervisor(s) and research topic. The following questions may guide you in your approach to developing your research statement. Why have you selected this research topic? What are your particular strengths? What projects, essays or other relevant research experience do you have? Why have you selected this particular research supervisor? 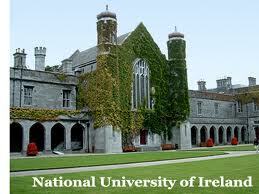 Why have you selected NUI Galway as compared to other institutions available? What are your longer term career plans and how would a Hardiman scholarship help you in achieving your goals? Give any other details which might assist the panel in assessing your application. All applications will be assessed by a panel of evaluators. The panel will consist of a number of assessors with experience of similar review processes. All applications will be assessed by at least 3 assessors from different backgrounds. Applications will not be assessed if they are incomplete or have been received after the advertised closing date. Shortlisting of applicants will be undertaken by a panel. All shortlisted candidates will be interviewed. An indicative timescale is given below. Demikian kami sampaikan tentang Hardiman PhD Research Scholarships, National University of Ireland, Galway semoga informasi tentang Hardiman PhD Research Scholarships, National University of Ireland, Galway ini bermanfaat.